has two branches and 12 surcharge-free ATMs in Kansas. Its small business offerings include business savings and checking accounts, lending, ACH and merchant services, remote deposit capture, and credit cards. We compiled Grant County Bank reviews and found that it is rated 5 stars on Google and 4.8 stars on Facebook. Ready to get started with Grant County Bank business checking? Apply now. Grant County Bank has two branches and 12 surcharge-free ATMs located in Ulysses and Garden City, Kansas. You may view its branch locator to check which location is closer to you. 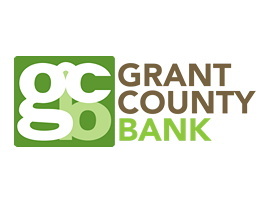 Grant County Bank also offers the following business services: business savings and money market accounts, credit cards, wealth management, term loans, business and agricultural lines of credit, and commercial real estate financing. Find out more about its small business offerings on its website.